ADR, or alternative dispute resolution, is the name used for the different ways of resolving disputes without having to ask the court to decide the outcome. Mediation, arbitration, and adjudication are all types of ADR. Most arbitration schemes charge a fee. An experienced arbitrator in a commercial dispute can be costly. 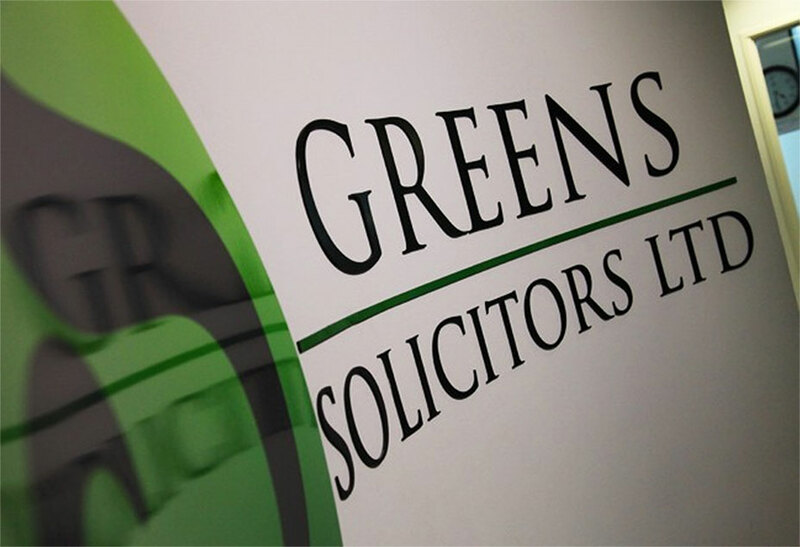 For family matters, Greens are able to offer arbitration for arrangements for children as well as sorting out finances on divorce or separation. We can also offer an arbitration for TOLATA disputes or on a specific issue. For commercial disputes, Greens can offer arbitration for commercial, construction, agriculture, property or land disputes. Greens offer mediation for civil and commercial disputes in order to seek an early resolution to legal and non-legal disputes. Please click here to find out more. We also offer family mediation here. Workplace mediation seeks to resolve disputes either between employer/employee or employer/employee. It can take place at any stage and either before the dispute has escalated to any formal process or up to the point of a decision in a tribunal or court. Mediation can lead to productive solutions that allow employers and/or staff to move forward in a productive way rather than wasting time and energy on disputes. The solutions can be creative and could produce a range of outcomes. Like other forms of mediation, the process is flexible and could include face to face, individual or shuttled meetings with the mediator moving between rooms. As in other forms of mediation, the outcome can be creative and the process can be arranged at short notice in order to quickly resolve issues before they escalate. Sometimes the parties to a dispute have diametrically opposed perceptions about the weight or effect of the documentary evidence or the law affecting their dispute. Radically differing perceptions of the issues in the case can get in the way even though parties may be keen to find a commercial resolution. An early neutral evaluation of those issues may be a good solution in order for parties to move forward and avoid escalations of cost and risk. Early neutral evaluation is where a neutral person with specialist knowledge and skills is invited to evaluate the case or any particular issues in it. That evaluation is not binding but is made available to both parties to consider. An independent view of the case or issues can sometimes clear the way for more constructive negotiations to take place. We often see disputes where families are broken apart and resources are squandered on needless litigation. In general, disputes are easier to get resolved the earlier there is an attempt to settle the issues and before legal costs have risen to such a scale where resolution becomes exceptionally difficult. Whilst mediation can take plane at any time and either before proceedings have been issued or before a judgement is made in court. If parties can have the conversations before a dispute arises they can avoid the time, risk and expense of litigation later. It can be particularly useful to have a facilitated discussion about wills, lasting powers of attorney or discussion in general about estate planning. The key elements are trust and communication. Once either one breaks down then litigation is sure to follow. A facilitated discussion around a table can clarify the issues, decisions, intention and plans before the event as opposed to after the event. You can live with the problem as it is. The important thing is that you have thought about it and weighed up the pros and cons and you know what your options are. If the problem is urgent or serious, get advice before making your decision. Where there are no formal alternatives, ADR may be an option for resolving a dispute. For example in neighbour disputes, where there may not be a readily available legal remedy, you should consider whether attempting ADR is better than a conversation with your neighbours, using a neutral third party or doing nothing at all. ADR can be quicker and cheaper than going to court. It is also usually easier to resolve disputes sooner rather than later as parties can become more deeply entrenched over time as well the ever increasing costs making the issues harder to resolve. There are also times when an unreasonable refusal to engage in ADR can land one party with the other party’s costs. Sometimes solicitors can resolve disputes without having to go to court. If the case is clear cut then a well worded letter may suffice. The danger of strongly worded letters going back and forth is that the parties can become further entrenched and the conflict can escalate. ADR might be an alternative to going to court or to a tribunal and you should consider which process might be cheaper, quicker, less stressful, and what outcome you might end up with. If someone is threatening to take you to court, you can explore some kind of ADR rather than having a court hearing. You should get advice about your situation before you decide whether to go to court. The court will make a decision if you are unable to sort things out at any other venue. It is worth remembering that there are fees for making a claim in court. If you can’t pay the court fees, you could be entitled to a reduced fee or possibly having the fee waived. Also remember that there may be other fees involved in using the courts – such as for allocating the case and for enforcing a payment ordered by the court. Whilst ADR is voluntary and you always have a choice about whether or not to use it, but you might not have a choice about considering it. For example, if you are going to court to deal with a family dispute such as sorting out finances or arrangements for children, you are required to meet with a mediator first and consider mediation. In future, this might also be true if you are going to court with a non-family dispute, such as a consumer claim. And if you have a dispute covered by a contract that requires you to use arbitration, you might not have a choice. There are also potential costs consequences for those who unreasonably refuse to engage in an ADR process.